Commissioner Sherry Davis is a longtime arts advocate. 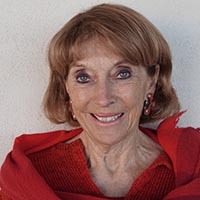 She was president of the New Mexico Governor’s Mansion Foundation, served as a Trustee for the Santa Fe Chamber Music Festival, is Vice Chair of the Museum of New Mexico Foundation and Lead Trustee of the New Mexico History Museum, and serves on the New Mexico Centennial Founders committee. Davis also served on Governor Susana Martinez’s Transition Team for Tourism and Cultural Affairs. She was the executive director of an international music festival featuring major orchestras and artists from Sweden and Germany, and a volunteer and/or board member of the Minnesota Orchestra and St. Louis, Boston, and Chicago symphony orchestras.